A ‘reservation of place’ fee of £100.00 is payable on application. 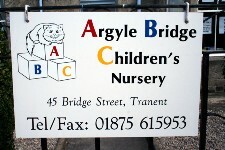 Copyright Argyle Bridge Children's Nursery 2019©. All Rights Reserved.